There are currently 25 users and 1721 guests online. i've come across a 1988 chivers sports fisherman EX. It has the factory fitted pod with a yami 100 4 stroke fitted 2 years ago. the gauge shows 4 hrs. the boat is in amazing conditon from what i can see. its on a dunbar trailer in great condition. there is no substantial gps or sounder. i can not fault the boat as a whole condition wise. my questions are what sort of money do you think it is worth? how do they handle in the open ocean? I'm finding it hard to find anything on this boat with the factory fitted glass pod so has anyone ever fished or been out in one. 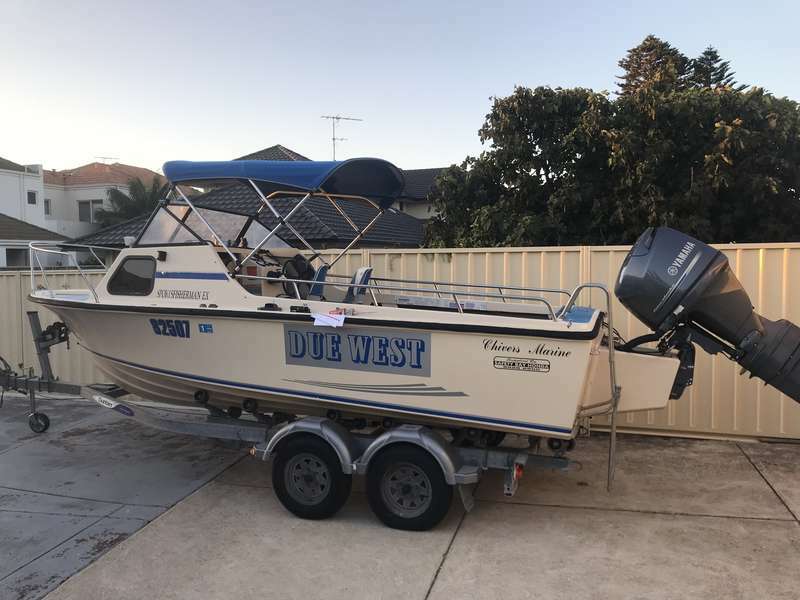 for me the size condition and the price she is asking fits my criteria (although i was set on a baron) this boat has popped up and is just about too good to pass up. i will try to work out how to uplaod a photo. good trailer, good outboard, good hull ??? i would say the boat condition is 9/10. trailer 8/10 and motor is 10/10.